The perfect addition to your kitchen s cookware. The Starfrit Rock 11" Fry Pan has a rock-like finish that makes it extremely durable. 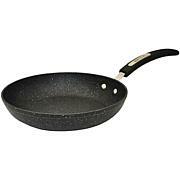 A thick, forged aluminum base makes this pan hardy and spreads heat evenly for precise and thorough cooking. The pan is also oven-safe — even under the broiler — for up to 450 degrees F. And it has a convenient nonstick coating that ensures easy cleanup and healthier cooking. 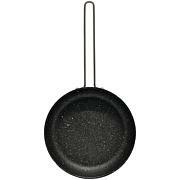 This handy, long-lasting pan will quickly become a staple in any cooking endeavor. 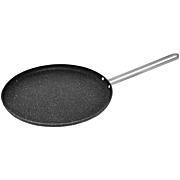 I absolutely love this fry pan. No oil or nonstick needed. This the second time that I have purchased this item only because I left my first one behind when I moved. I have the sauce pans from this brand as well. Love them! Given as gift and recipient said it was wonderful. This is an amazing pan. It cooks food right. Its so easy to clean. The nonstick it great! The pan holds up well in the ove too at 350. I would recommend this pan to anyone. Its a joy to cook with. A great value. 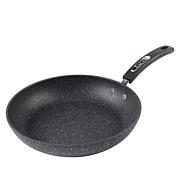 This is a great non stick pan. Highly recommend. I'm hoping to get another one for one of my grand daughters.